For the month of May I have every Friday off (vacation days that must be used before July 1st). My Mom is in a walking group and they walk on Friday mornings so I’ve joined them a couple of times. 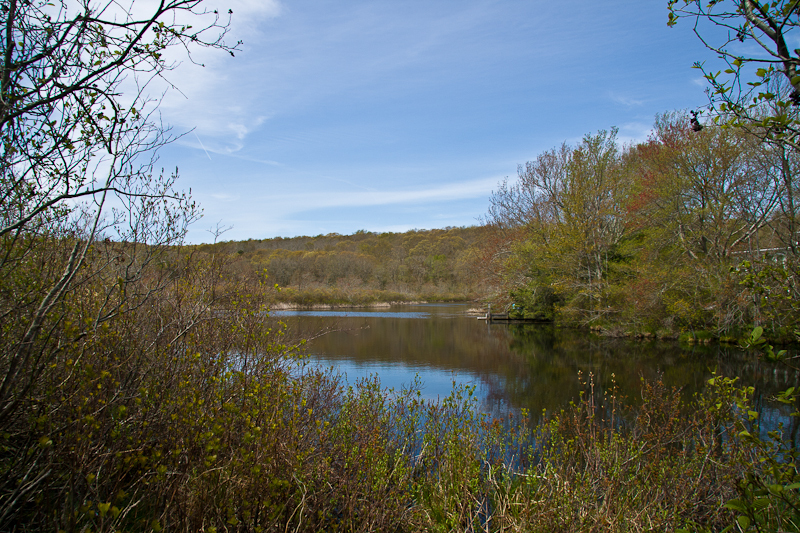 Last Friday we did a field trip to Green Briar Nature Center, which is part of the Thornton W. Burgess Society in Sandwich. It was a perfect day for a walk. The temperature was around 60 degrees and sunny. We walked around the pond in the top photo. The bottom photo gives you and idea of the path we followed in the woods (the woods you can see in the background of the top image).